At TruView, we use the latest techniques and most efficient research tools to uncover more information for our Clients. 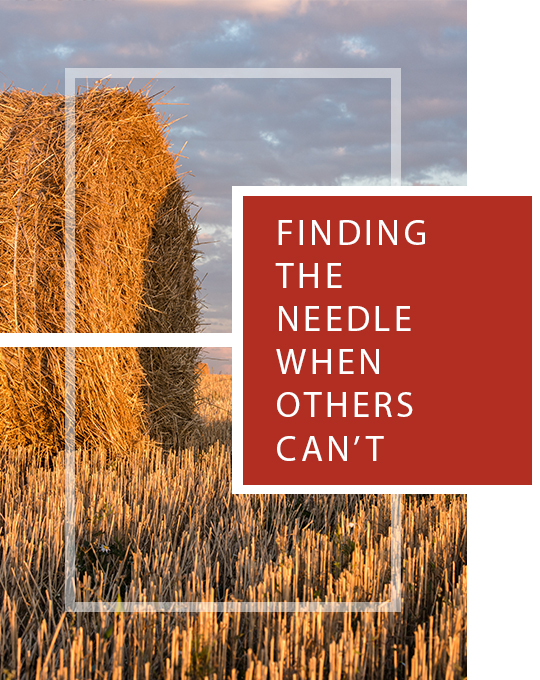 Trust TruView to find the hidden needle when others can’t. We love technology and its ability to optimize our efficiency, but we believe strongly it must be intertwined with the power of human analysis. Every report that is released from our offices has been reviewed by expert eyes. Through our services, we serve as ambassadors for our Clients, ensuring we maximize the user experience in every interaction. The TRU partnership is a relationship built on transparency and trust. The “TRU Seal of Approval” is our answer to the two chief complaints from customers in the background screening and investigative industry: background screening reports devoid of human analysis, and case reports littered with “investigator-speak.” All of our reports are TruApproved before delivery, which means one of our TruView experts has reviewed, analyzed, and approved the work to meet the objectives of our discerning Clients.